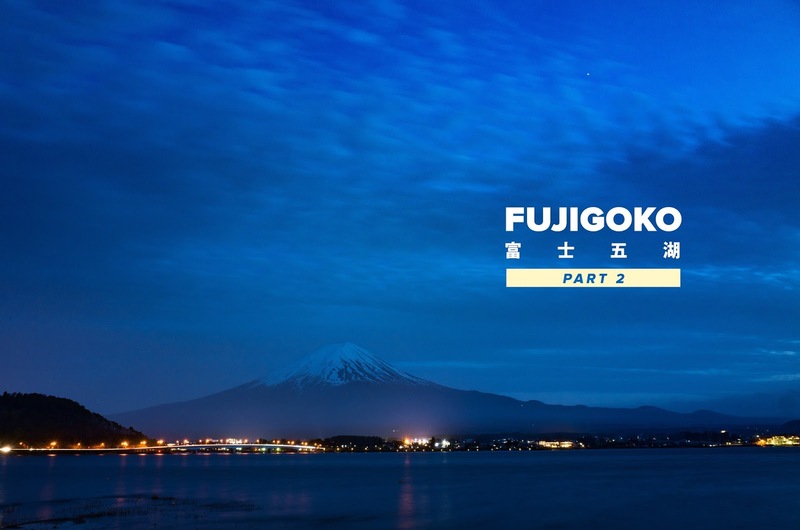 Fujigoko - Part 2: Exploring the Five Lakes ~ this anomal life. One of the most anticipated part of our Fuji itinerary was the Fuji Shibazakura Festival. Unfortunately, as you can see above, it wasn't nearly at full bloom. Lesson learned: don't go to flower festivals during the first week it opens. The 1000 yen view on Lake Motosuko. Rowers practicing on Lake Shojiko. We arrive at Lake Saiko and it was very peaceful. The water was extremely clear. A lot of pole fisherman here; we actually saw one catch a nice carp. We stopped at a parking lot to see the Wind Cave and there was an entrance to the Aokigahara Forest. The Aokigahara forest covers a vast area of the base of Mt Fuji. If you do a little research on Google about this place, you'll soon find out what it is notorious for. Despite its horrible reputation, this forest was beautiful. The lush, dense forest grew from volcanic ash from previous eruptions of Mt. Fuji. As soon as you enter this place, it was pin-drop silent, even if the parking lot was directly adjacent. This is the Wind Cave (350 Yen admission fee). At the entrance, they'll give you an option to wear a helmet if you wanted. We opted not to. As you can see, a helmet may have been a good idea if you're not the most careful person. If you're claustrophobic, don't go in here. It stays around the freezing mark all year round down here, which made it a suitable place to store acorns and silkworm cocoons in the past. Nature's refrigerator! The area where people would refrigerate their things. Proceeding our Fujigoko adventure, we continued on to the Fuji Subaru Line. The goal was to reach the 5th Station. This is the route hikers would take if they were to summit Mt. Fuji. However, we had to stop short at the 4th Station because there had been an avalanche that damaged the road to the 5th Station. They sell air in cans at the souvenir shop, it was quite comical. I believe this is the Oshino Shinobi no Sato (Ninja Village). We stopped by at the gift shop to see what was inside but it was typical touristy stuff. Adjacent to Ninja Village was a beautiful stream. There were trout fishermen here. The water was very clean and you could actually spot some trout in there. The largest of the Five Lakes is Lake Yamanakako. We waited for a bit until the haze cleared up from Mt. Fuji so we could take pictures. After exploring the majority of the Five Lakes, we decided to check in to our hotel. We got a room in Resort Inn Fujihashi, which was close to Lake Kawaguchiko and restaurants. It was a pleasant little Japanese-style room with extremely comfortable futons. The washrooms were communal though (public bath style). Before coming to Japan, you should familiarize yourself with the public bath etiquette as it is a common occurrence in budget accommodations. It may be strange at first but I was pretty used to it after doing it a couple of times. The shower + soak method to bathing is actually quite nice. After resting for a bit, we headed out to see the Kawaguchiko Cherry Blossom Festival. The blooms were beautiful, especially with Mt. Fuji in the background. We were lucky to be in the area during full bloom! There were food vendors around too! Lots of choices here, lots of grilled meats too. I think this might have been the highlight of the day. Lake Kawaguchiko in blue hour is quite something! Especially with the blooms framing the foreground. I regret not bringing my full-size tripod on this trip. I could have done some epic long-exposure shots! The only decent long-exposure I got using my Ricoh GR + a Gorillapod I propped up on a sign. The next (extremely rainy) day, we visited Shiraito Falls. On the way down there were a bunch of cute shops. I just loved the cat and dog in this picture. It was very beautiful but we got completely soaked by the downpour. It was also very weird hazy light at the time so my shots turned out a bit funny. It is definitely a must visit. Thank you to the cute elderly lady that accidentally took this burst-stack of us using my phone! At the Wind Cave parking area, they sold corn ice cream, so I had to get one. It was actually very good! If you've ever tried Momofuku's cereal milk soft serve, it tastes really similar but sweeter. We visited a grocery store and I was mindblown by what they had in there. We stopped by at Lake Yamanaka Hoto Restaurant Shoya. At the Restaurant Shoya, I ordered the deep fried smelt(? ), maybe called wakasagi. Don't quote me on it though. It was quite good in my opinion! I usually look pretty unkempt when I travel. The dango(?) I ordered at the festival. I wouldn't get it again though. My first CoCo Curry experience. It was heavenly good. I ordered the pork slices in curry, spice level 5 with cheese and fried garlic. This was our breakfast at the Resort Inn Fujihashi. It was included in our stay. Quite pleasant! After going to mass at Fujiyoshida Catholic Church , we stumbled upon a fishing store! It was pretty epic in there. It was a good thing that I was not into fishing too much at the time because I would have bought a lot of things. We didn't even know what to buy...there were so many things! There was an ice cream shop selling wasabi soft serve. It was very good! The texture was amazing too. I got the honeydew flavour which was way too icy. This is a DIY chicken sandwich that I made from the things I bought at the convenience store. There's one more part left to our Fujigoko adventure, and then we're off to Kyoto!